Houdans have a dual classification. In France they have a reputation as a high class table fowl. Houdans produce a juicy, white meat with fine bones. They enjoy and owners appreciate a high conversion rate of food to meat. Fair egg producers, Houdans lay two eggs a week. What they lack in volume they replace with longevity. Houdans lay eight to ten years but seldom brood. 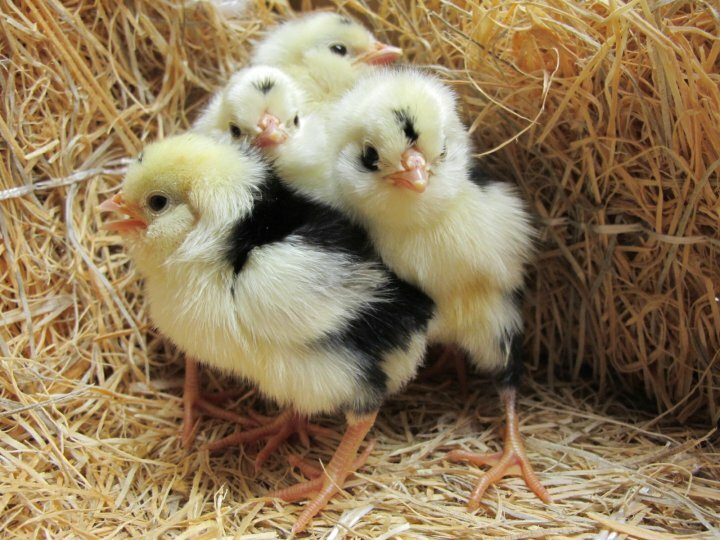 Chicks mature quickly without issues. They handle confinement; although, they prefer foraging. Houdans can live on any soil type and secure most of their food by their own efforts. The ornamental Houdan does better in warm, dry climates. Their heavy head feathering freezes when cold and wet. Owners report that Houdans produce less offal than other breeds resulting in fewer parasites in the soils under them. Houdans enjoy human interaction. If handled early, the hens make great pets for children. 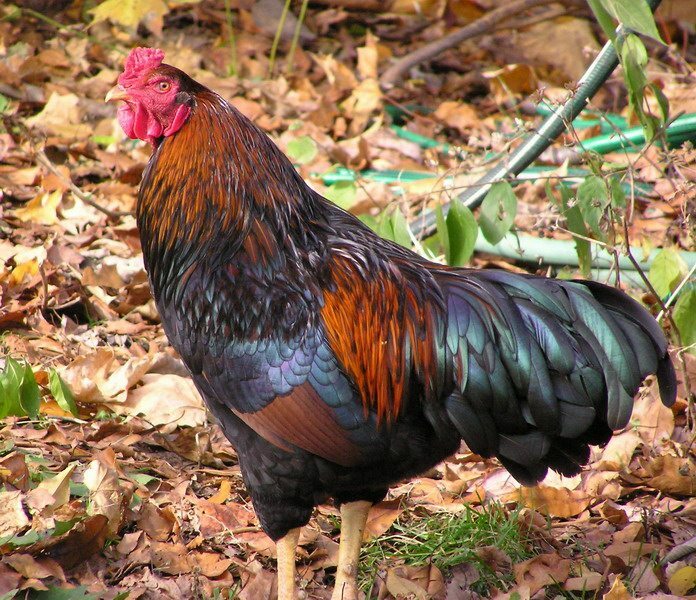 Houdan roosters have a large crest which limits their eyesight making them potentially flighty and less suitable as pets. 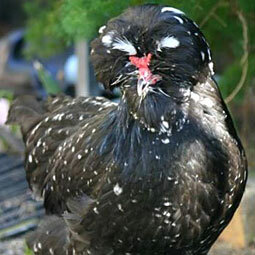 The docile Houdan fits well in a family and on their small scale farm. Like most foraging breeds Houdans lead an active lifestyle. They prefer walking over sitting on a nest to hatch brood. Fortunately, they readily accept incubators or surrogate sitters for their eggs. Poultry affection ados associate the Houdan with their spectacular crest, beard, and muffs. 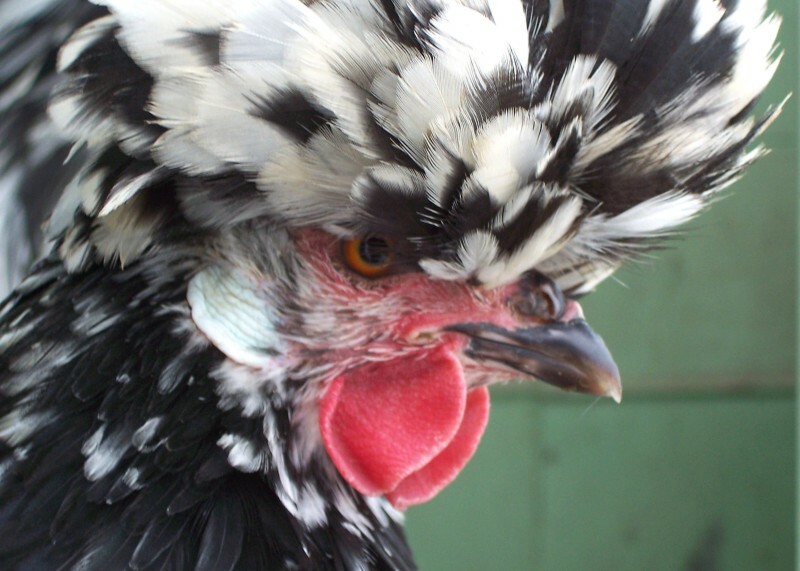 The Houdan also has a unique and prominent “V” comb which distinguishes them from other breeds. 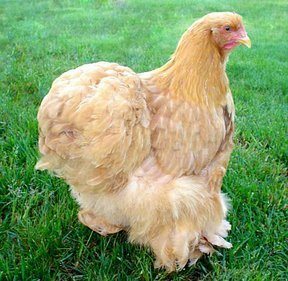 The Houdan’s small wattles and earlobes disappear inside their head feathering. Houdans have two basic color configurations—Mottled and White. The standard rooster weighs eight pounds with the hen weighing in at seven. The bantams average three pounds. Like some other French breeds, the Houdan has five toes. The orientation of this fifth toe causes the Houdan to walk with a classic Houdan skip. Give your Houdans a dry, spacious, and safe run for foraging. Houdans have a distinct disadvantage against predators with their vision limiting crests. Plant grain producing foliage. Houdans like to gather their own food when possible. Use feed and water containers designed to keep their crest dry and clean. Houdans lay well into old age. Supplement their feed with extra calcium and protein for continued egg production. Houdans seldom hatch their eggs. Use an incubator or surrogate sitter to hatch eggs. Hatch chicklings in the warm months to take advantage of the heat. Houdans get their name from a town in France near Paris. Houdan, France and Houdan chickens has supplied eggs and meat for Paris for decades. Houdans, one of the oldest breeds in France, appears to have Crevecoeur and Polish genes. 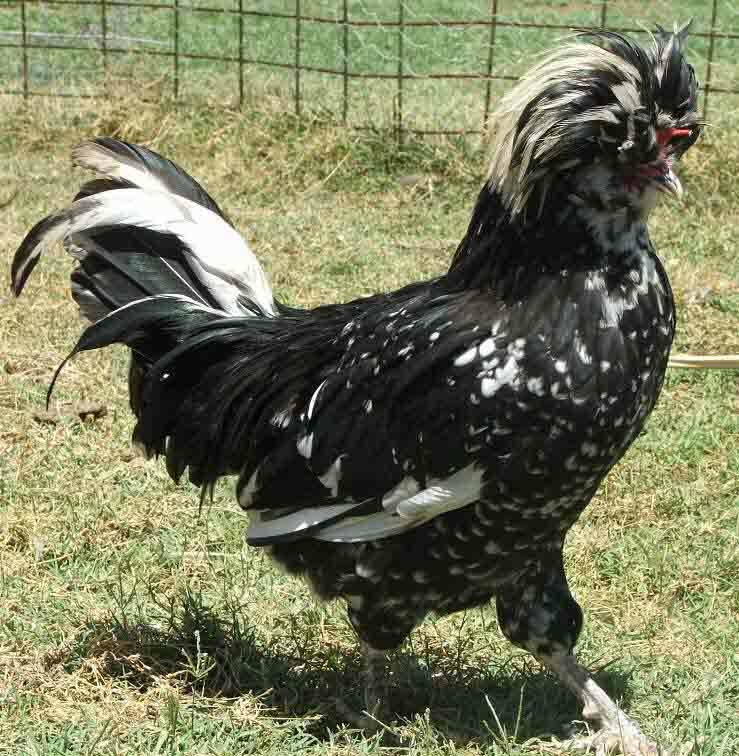 Breeders developed a bantam to meet a demand for small livestock during World War II. Houdans arrived in England in 1850 and America fifteen years later. The American Standard of Perfection entered them as an official breed in 1874. Today, Houdans primarily grace exhibition tables rather than dinner tables. They still, however, hold a place in many backyard flocks.